Octave Fidelius 4 string made in the F-4 style. 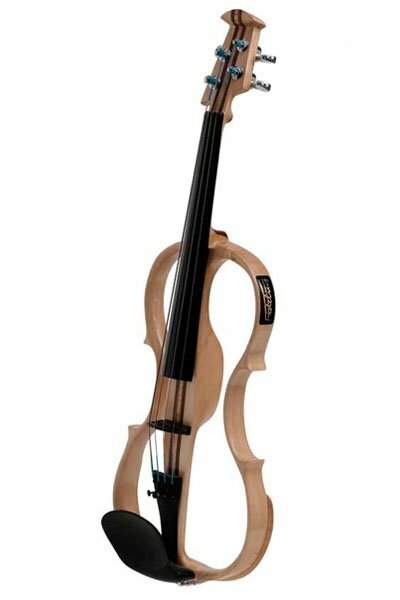 Uses specially made Octave strings from Thomastik and is also could the Cello-Violin. The Octave F-4 is equipped with Groover mini machine heads & uses the Fidelius bridge pickup. • No feedback (Howl-round) as there is no acoustic sound-box. • No tonal loss or distortion, by directly amplifying wood resonance without air sound or sympathetic vibration from sound-box. • A happier neighborhood while you are practicing new material at a muted volume. • A strong balanced signal from high impedance piezo crystal and a high degree of separation due to individual string amplification. • No need for battery powered pre-amplification – no signal loss due to low battery power. As the transducer works on string pressure, it provides a great range of dynamics while playing. High quality Strings on each instrument guarantees warm and strong sound using Superflexible “Thomastic” strings. All Models are fitted with a solid ebony fingerboard and nut. A solid ebony chinrest is also fitted as standard, unless specified differently. 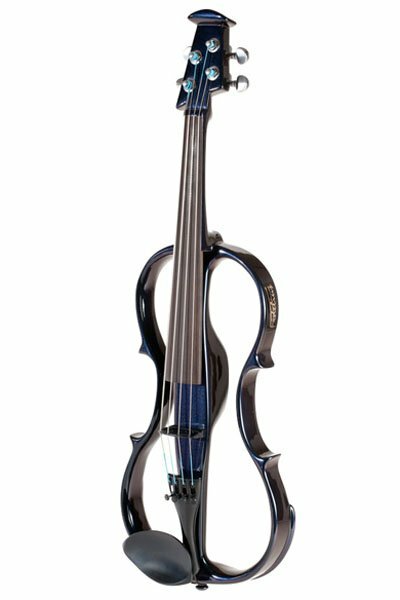 • The “T” range violins are equipped with groover mini machine heads in chrome, gold or black finish. The position of machine heads, between bridge and chin-rest provides a lighter neck and a better balanced instrument for most players. • The “F” range of instruments are fitted with the same machine heads as the “T” range but can be found in the traditional position at the end of the neck. The “F” range also uses a lightweight alloy tuner tailpiece behind the bridge on the 4 or 5 string models. • The “F-Trad.” range is fitted with Wittner fine tuning pegs. 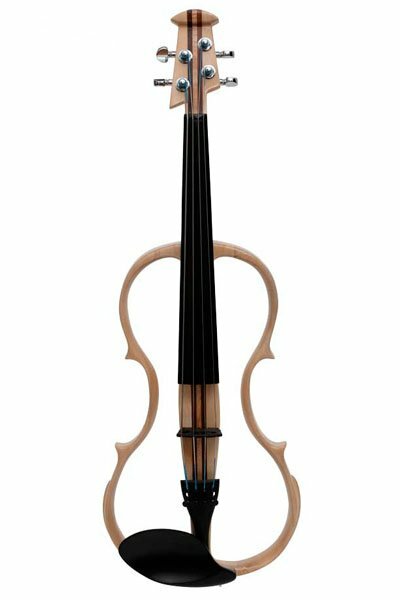 • The “Octave Violin” is equipped with groover mini machine heads. 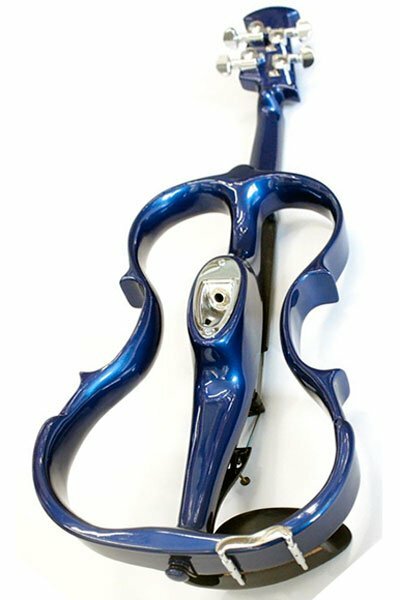 • The “E-Cello” is equipped with groover bass machine heads.